I decided that I need a single name to refer to all of these autism related websites that I am hosting, running, and/or creating. I want to have a website explaining what each site is and ways for people to help support them. I got this idea because I am trying to raise money to move all of the sites to a reliable virtual private server and off of the not completely reliable shared server they are on now. 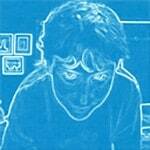 I am feeling extra responsible for server reliability since starting Autiblogger! My first priority is fundraising to get money to pay for the server. It is not cheap and there is no way I can afford to pay for it myself. I’ve decided to sell products, all or mostly made by autistic people, and to put all of the proceeds from those sales towards keeping up these sites and others like them. 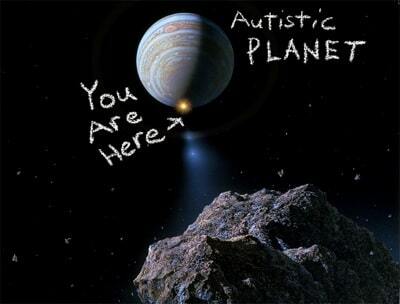 I registered the domain name AutisticPlanet.com after trying about 50 other domain names that were already taken. Then, I created a graphic (above) that I will put on t-shirts and other products and add them to the list of items for sale. The t-shirts are available in 7 colors in a choice of lightweight cotton for $15 each, or heavyweight cotton for $20 each. Currently, the only sizes that are available are S-XXL (men’s t-shirt sizes). I have emailed the folks who are printing the shirts and requested that they make larger sizes available too. Children’s sizes are also a possibility. You can buy the t-shirts here! good luck with the VPS. I’ve just set up one recently – it was a lot harder than shared hosting but I’m getting to grips with it now.